At this point in Star Wars history, there has been a multitude of stories centered around the Clone Wars. From the latter half of the prequel trilogy to the eponymous television show, we’ve seen how the conflict embodied the end of the Republic, engineered by Palpatine as part of his final descent into totalitarianism. However very little attention is given to the issue that kickstarted the whole war: a secession movement known as the Separatist Crisis. Despite being talked about in the opening crawl for Attack of the Clones, it’s barely mentioned after that and rarely have we seen anything discussing how the galaxy came to that point in the first place. The Clone Wars was an excellent TV show that did a fantastic job adding needed dimension to the prequel movies. However, it remains disappointingly one-dimensional in its depiction of the Separatists. With the exception of Mina Bonteri, they’re overwhelmingly shown to be uniformly evil almost to the point of caricature. And while this fits with the pulp style that TCW affected, it was still a missed opportunity to bring some depth (and truth) to the line from Revenge of the Sith’s opening crawl that “there are heroes on both sides.” With the recent trend of injecting more nuance in the franchise (from the multitude of Imperial POV novels to Rogue One and Saw’s Partisans) it’s time to extend that into the Separatist era. Granted, it seems rather odd to advocate for a return to the prequel trilogy when the franchise is in the middle of putting out sequels that take place fifty years later. But a Separatist novel is an excellent opportunity to tie the sequels in with the prequel era because it would provide important context for the New Republic. A sympathetic Separatist novel could provide the framework for crucial backstory that helps fill in the gaps of the post-Endor, pre-The Force Awakens period. Why does the New Republic Senate fall so quickly back into bickering and inaction? Why is the First Order able build an army with the size and firepower of the Empire and steamroll the New Republic so easily? Why doesn’t anyone respond to Leia’s call for help? These answers have their roots in the Clone Wars. While, yes, the entire Separatist Crisis was a result of Palpatine (and later, Dooku) playing both sides in order to bring about full scale war, it was still born out of genuine discontentment. Poorer systems in the Outer and Mid-Rim felt disenfranchised by the wealthy Core elite, and rebelled against an indifferent Senate that was happy to take their resources but couldn’t be bothered to help them prosper. The Clone Wars stemmed from a desire for sectors’ rights (for lack of a better term) and only ended when Palpatine formally declared his Empire and forcibly subdued the breakaway states. But this desire for self-governance remains, and when the Empire is finally overthrown and the New Republic established it’s not a stretch to imagine that many systems would jump at the ability to rule themselves if given the chance. In fact, it’s even more likely that after twenty-five-ish years of tyranny even more systems decided they were better off on their own rather than relying on a centralized galactic government. We see in Bloodline by Claudia Gray that there’s a persistent fear in the galaxy that an executive office with strong powers would be nothing more than a slippery slope toward another Palpatine. It’s easy to believe that many systems would prefer to avoid that risk altogether and forgo joining the New Republic. And from there you get a New Republic that’s smaller than both the Empire and the Old Republic, is more easily overthrown by the First Order, and groupings of systems that don’t really have a direct reason to get involved. But that point hasn’t truly been explored in detail outside of a couple minor references in Pablo Hidalgo’s Propaganda book. We are far overdue for a nuanced look at the Separatist viewpoint to see just how influential the conflict truly is. It brings the political complexity of dealing with the Empire’s legacy to the forefront. 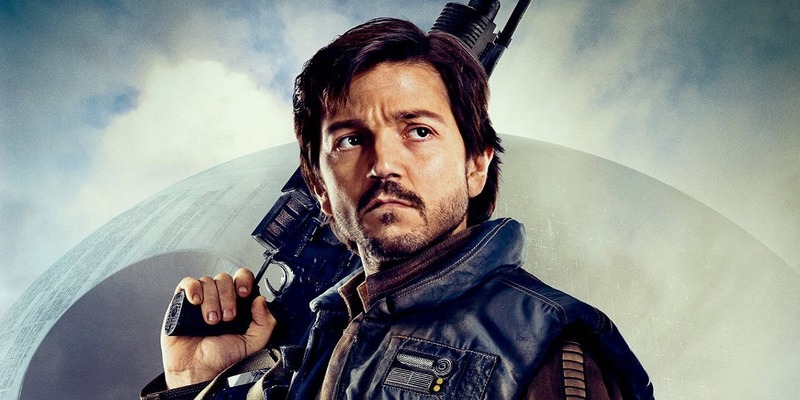 Fortunately, we already have a relevant character in Cassian Andor to be the focus of a potential story. 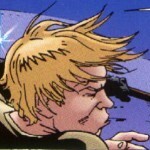 Both the Rogue One novelization and the Visual Guide mention that he voluntarily fought with the Confederacy of Independent Systems, which makes him an ideal character through which to explore Separatist politics. A young Cassian novel would be the ideal way to explore a sympathetic Separatist viewpoint and take a closer look at the genuine discontent brewing in the galaxy that would no doubt influence the creation of the New Republic. Not every Separatist was a cackling megalomaniac or part of a shadowy cabal of greedy megacorporations. And not every Separatist system was aligned as such due to violent, military takeover. In fact, it’s more likely that the bulk of Separatist support came from those who genuinely believed that they were better off attempting to self-govern rather than be subject to the whims of an apparently uncaring Senate. It’s time to revisit the Clone Wars period with a closer eye. Rather than fall into the trap of portraying all the Separatists as B-movie villains, it’s time to take a look at the Mina Bonteris and Cassian Andors of the movement. Not only does it offer the chance to tie together multiple movie eras, but it helps expand on the politics of the sequel trilogy era (a part of the sequel worldbuilding that has been sorely lacking) by providing an important foundation for the New Republic. For a franchise that has worked to inject shades of gray into the Rebellion, Empire, Jedi, and Old Republic, the Separatists have rather sadly not gotten the same treatment. But considering the storytelling benefits a Separatist POV story provides, it’s time to give it the detailed exploration it deserves. I’ve been wanting an in-depth look at the CIS for years, and a Cassian novel sounds like a great way to do it! I’ve always felt that the Separatists could theoretically be more sympathetic than the Republic, if we ever got a nuanced portrayal of them rather than just bad guys. There is a great story to be written about how former Separatists like Cassian end up in the Rebellion at all. How do these Seps end up on the same side as the pro-Republic Alliance? Are they convinced that a reformed Republic would actually be a good thing? Is there a quid pro quo in which Alliance leaders accept Separatist assistance in exchange for promising them independence from the New Republic? How do anti-Separatist radicals like Saw Gerrera feel about their inclusion? 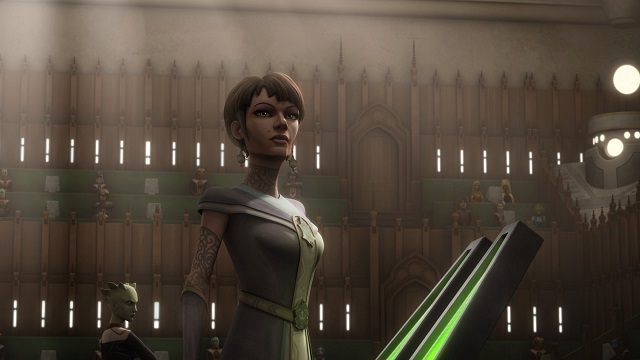 And while the focus should be on more sympathetic Separatists, what about less sympathetic members like the Nemoidians or the Muun (thanks to Rebels, we know the Geonosians at least were completely wiped out)? How far can the Alliance leadership go in building a disparate anti-Imperial coalition without losing their own sense of purpose? As you note, this would provide the opportunity to further develop the backstory of characters like Cassian. I would go further and perhaps invent Separatist backstory for other important Rebellion figures, like Raddus and Ackbar (I mourn the loss of the early Clone Wars comic books where the Mon Calamari were Separatists – this was such a cool idea, but was thrown away in the TV shows in favor of a simpler “Mon Calamari are always good guys” perspective). Beyond the Separatists, though, this sort of story would provide a lot of material for established pro-Republic characters like Mon Mothma, Bail Organa, Leia, and Holdo. Their ability to forge an Empire-defeating coalition out of such disparate elements would be a really fun boost for those characters. It would also challenge them to live up to their beliefs, if they were forced to seek reconciliation not just with sympathetic figures like the Mon Calamari, but with real enemies like the Nemoidians. Although the Prequels are controversial, one of the biggest advantages of the New Canon over later Legends is that the New Canon can be built from the ground up with the Prequels in mind, rather than awkwardly shoehorning Prequel themes and plots into later post-Endor stories (pretty much the entire “main story” from Dark Nest onwards). This would be a big win for consistency, while also creating great new storytelling space both during the Rebellion period (forging the coalition) and the New Republic period (managing a Separated galaxy, though we already get a hint of this in Bloodlines). Well, the Rogue One UVG dies imply that many Separatists saw the Empire as just an even more corrupt evolution of the Republic, and a lot of them would probably be willing to work with an organization that wanted to improve the Reoublic not just bring it back as it was, like the Rebel Alliance. Yeah. I’m, uh, working on that. Heh. Love this idea–including Cassian as the vehicle for it. Nothing revelatory here, but we do currently have the odd progression of Good Republic fights Bad Separatists, then Good Republic switches to a Bad Empire, then Good Rebellion fights Bad Empire in hopes of restoring Good Republic. The Separatists clearly get short shrift here with their values and loyalties maligned. I’d love a nuanced political exploration of what it means for them to join up with the pro-New Republic Rebellion. A final note: The Revenge of the Sith opening crawl always struck me as the weakest of the crawls–and the line “heroes on both sides” really is doing more work suggesting there are villains on both sides than actually conveying anything noble about the Separatists. Portrayal of that nobility is long overdue. How’s this for nuance—-I’d say we never technically saw the Good Republic. Yeah, fair enough. However, there’s no doubt we’re encouraged to root for the Republic’s peacekeepers and its army and to see them as Good Guys… right up until the Republic becomes the Bad Empire, and then we are immediately encouraged to see its army as bad, too. I wanted to reply to Master Ki-Aaron-Mundi but for some reason I can’t. I’ve always felt that the relationship between the clones and the Jedi should have been portrayed more ambiguously than what we got in TCW, etc.. There should have been visible and increasing tensions with the principled Jedi and more ruthless clones butting heads over methods, etc. As it is, it’s very hard to imagine the clones in TCW and the clones in ROTS as being the same people. Shkval25, it’s a good point–I can’t think of any stories that take that approach in canon or Legends. In fact, the first one that comes to mind is the inverse: Jedi Master Pong Krell’s arc late in season 4 of The Clone Wars. A ball was dropped here that could have been used to build a little more gray as to who the good guys were and better set up the direction the story was headed.